It’s an age-old favourite and I am sure you all have your own tweaks (which I would love to hear about!) but please do take a look at my version. 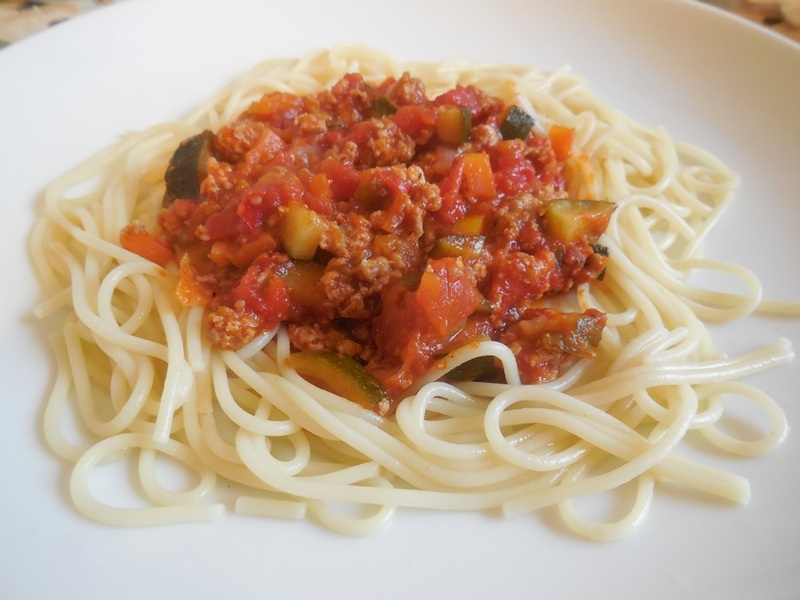 I have made it healthier by using turkey mince and a selection of my favourite vegetables. My husband uses gluten free pasta with his. It is also a great for a packed lunch and you can make a big batch and freeze in advance for the working week ahead. Start by heating some oil in a high sided large non-stick frying pan. Whilst the oil is heating up, mix the Worcester sauce, tomato ketchup, chicken stock pot, 1 tbsp. of dried basil, some salt and pepper into the turkey mince until well incorporated. (I wear food gloves and mix with my hands.) don’t overwork the meat too much. Add the peppers to the pan and leave to cook. In the meantime chop the carrots, courgette and onion into small pieces and add to the pan. Crush and chop the garlic as small as you can and add to the pan. Add the two cans of plum tomatoes, break up the tomatoes with a wooden spoon and stir so all the veg are covered in the tomato sauce. Add the tomato purée. (At this point you may wish to add more basil, tomato ketchup, salt and pepper but that will be down to your own taste!) If the veg are not covered, add some more water. Leave to simmer until the sauce has reduced down as much as possible, stirring occasionally. At this time the sauce will cling to the meat, forming the thick Bolognese that you are used to enjoying. Serve with your cooked pasta of choice. Sprinkle some cheese over the mixture and as a treat make your own garlic bread to eat with your meal. You can make this by mixing finely chopped garlic with butter and spread over toast (add a bit of parsley if you like). I always use food gloves so my hands don’t get too messy! I also make a vegetarian version using Quorn mince and a vegetarian stockpot. I take out the Worcester sauce (as it contains anchovies) and add some more basil and parsley. As you may have read on Facebook earlier this week, I have created my own “World Cup workout” to coincide with the football! My friend Steven from work designed the programme for me and over the coming weeks, my aim (whilst my husband is watching the tournament) will be to lose weight for the summer by working out and eating healthy home-made food. It is going well and my repertoire has so far included my falafel burgers, bean casserole and Suzy sorbet. All very healthy! 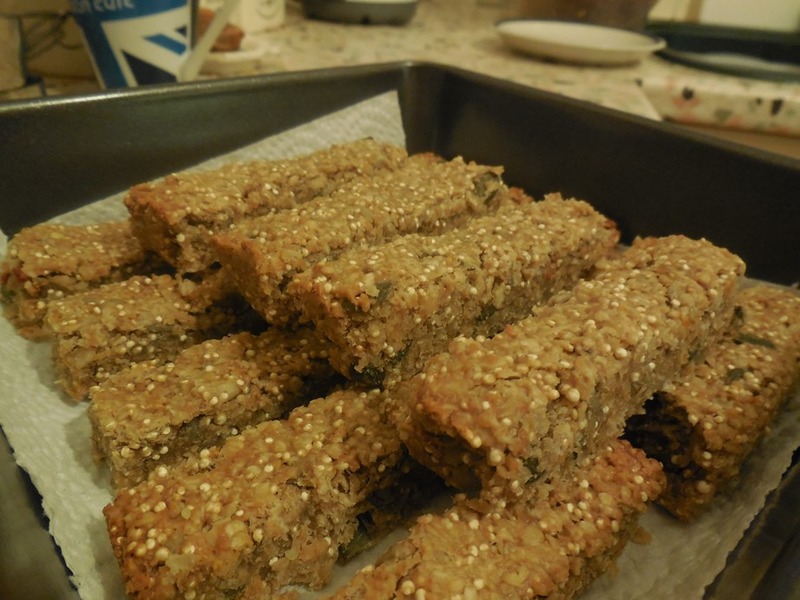 To keep me from snacking during the day on cakes etc, I have made some healthy energy bars. I have tried not to add anything too unhealthy and they still taste great. In a large frying pan, toast the quinoa on a low to medium heat until you can smell an almost fragrant aroma. Place the peanut butter and mashed banana in a saucepan and mix together on a low heat until it has melted and is well incorporated. In a large bowl, add the oats, nuts, seeds and dried fruit, as well as the linseed, honey and caster sugar. Once the quinoa has cooled slightly, add to the bowl as well. Add the peanut butter mixture and mix all the ingredients together until the oats are well coated. Line a tray bake tin with baking paper (the tin is approximately 20x30cm) Place the oat mixture into the tin. Spread the mixture evenly and flatten down as much as you can. Bake in the oven for approximately 20-25 minutes, until golden on the top. Once cooled, cut into approximately 24 bars. Add your own combination of nuts, dried fruit and seeds to suit your taste. I am currently experimenting with this recipe as I am not the biggest peanut butter fan. However in spite of this, I do really enjoy these bars! It was National Vegetarian Week a couple of weeks ago and this seemed like the perfect opportunity to do some experimenting. 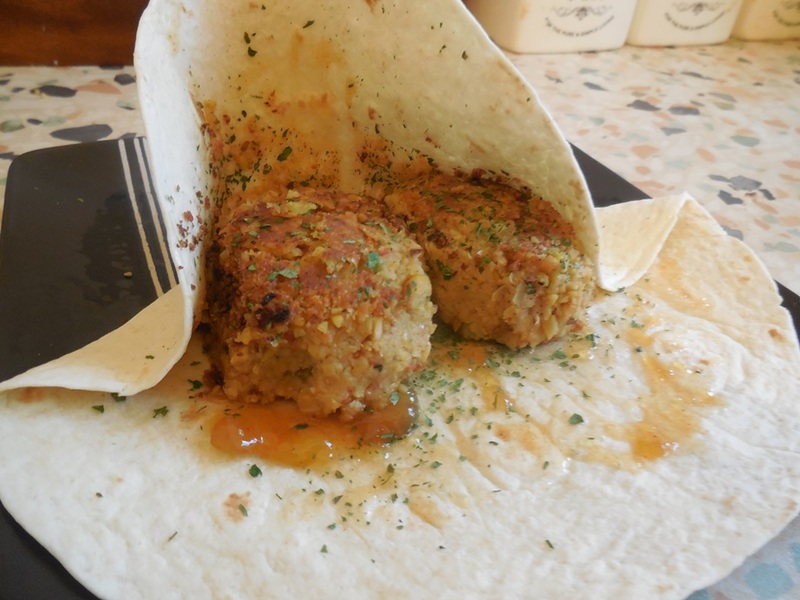 My favourite dish I created over the course of the 7 days was my falafel burgers. 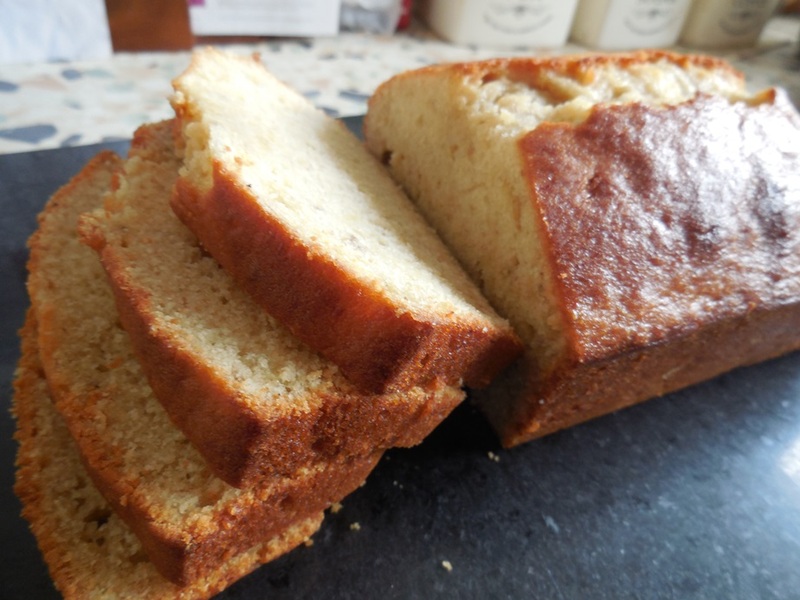 They are really easy to make – as long as you have a blender or food processor! Here is the recipe. Add all the ingredients for the burger into a food processor and blend until smooth. (This may take a while and you may need to stop the blender and push the ingredients down so it all mixes together). If the mixture is slightly wet, add a little more rice flour Shape into 4 burgers with your hands. They will be the size of a cupcake. Heat some oil in a non-stick frying pan and fry for 3 minutes on each side or until golden brown. Heat the wraps up in the microwave for 20-30 seconds. Spread one tablespoonful of mango chutney on each wrap. Add two burgers to each wrap and serve. I use food gloves when shaping the burgers. You could add a side salad and some chutney to create a more substantial meal. This would work better for anyone who is on a Gluten Free diet as you would not need the tortilla wraps.